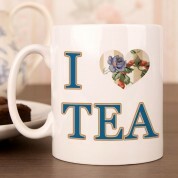 Modern vintage themed gifts are right on trend just now and this mug incorporates this in its design. 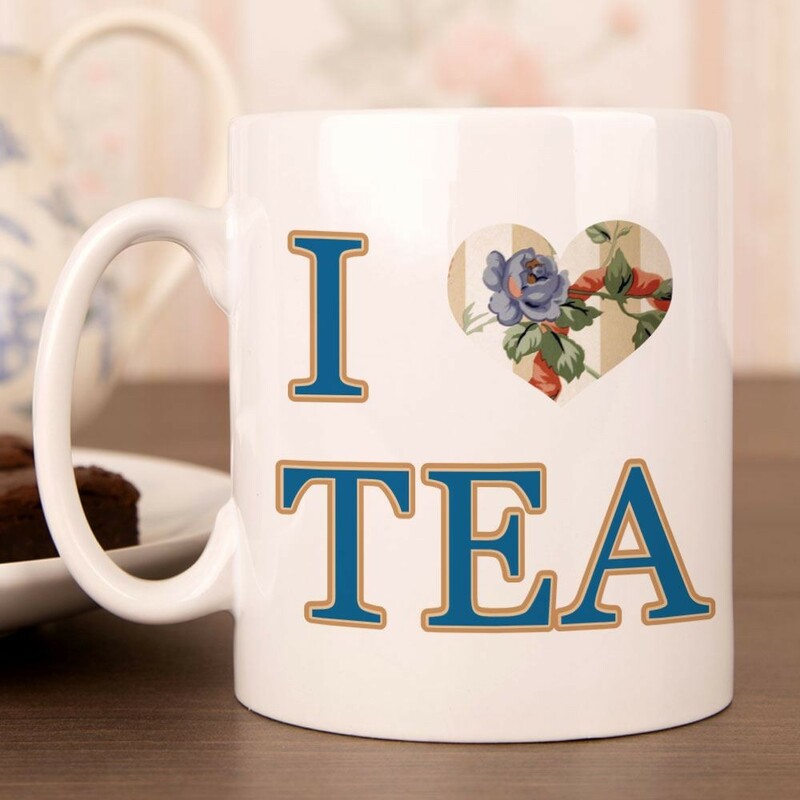 Do you have a friend or family member who can not drink enough tea in a day? If so this mug would be the perfect addition to their mug collection. 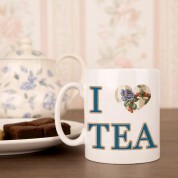 The floral design is featured on the love heart on the front and a panel on the back of the 'I love tea' mug. 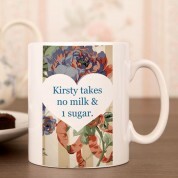 On the back there is space to add how the recipient takes their tea whether black, with milk or with sugar. 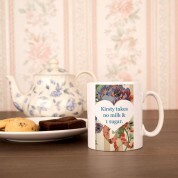 Why not take this mug in to the office or your workplace? It means that whoever is on tea duty will make your tea just the way you like it.